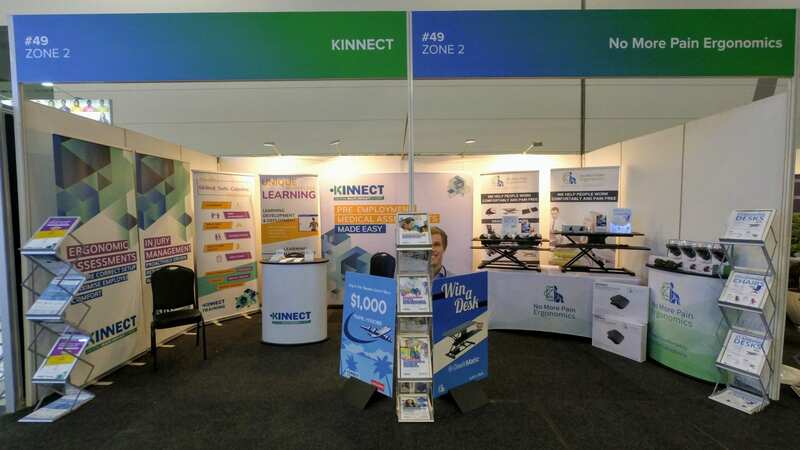 KINNECT is proud to again be an exhibiting sponsor at the 2018 Australian HR Institute National Convention & Exhibition from 28th – 31st August at the Melbourne Convention and Exhibition Centre. The AHRI National Convention and Exhibition is Australia’s flagship event for HR practitioners and business leaders. The event attracts over 3,000 attendees from around the country each year, inspired by local and global thought leaders on the big issues facing HR and business. It provides a unique opportunity for HR professionals to access professional development, networking, emerging trends and gain new ideas for their workplace. “We are excited to be back at AHRI for another year, showcasing our Occupational Health service offering and networking with like minded HR professionals who value the importance of workplace health.” says Clark Hopley, KINNECT Director. During the convention KINNECT will host a display booth in conjunction with No More Pain Ergonomics and KINNECT Training.